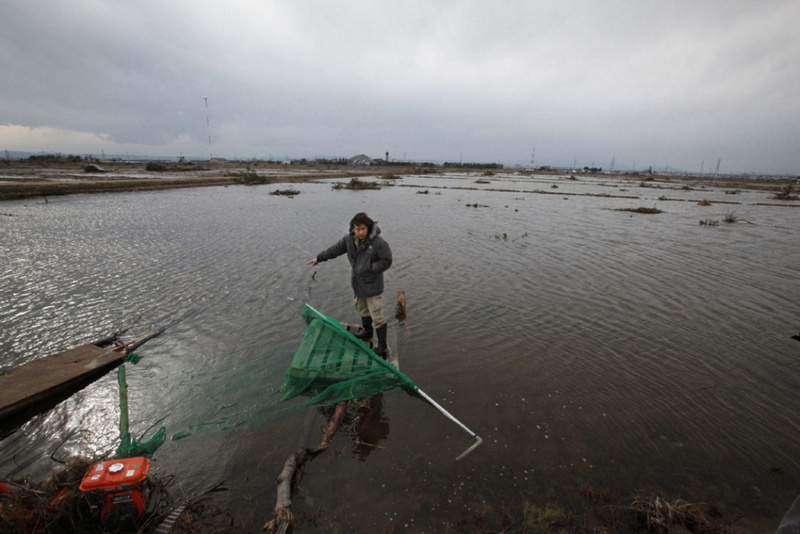 Ryo Taira lifts a porpoise out of a flooded rice field after it was swept by a tsunami following an earthquake in Sendai on March 22, 2011. Taira found the porpoise (similar to a dolphin) struggling in the shallow seawater and after failing to net it, waded into the field to cradle the baby animal in his arms. TOKYO – A baby porpoise has been rescued in Japan after being dumped in a rice field by a giant tsunami that hit the coast on March 11. The porpoise was spotted in the flooded field, about 2 km (a mile) from the coast, said Ryo Taira, a pet-shop owner who has been rescuing animals abandoned after the 9.0 magnitude quake and tsunami left 23,000 people dead or missing. 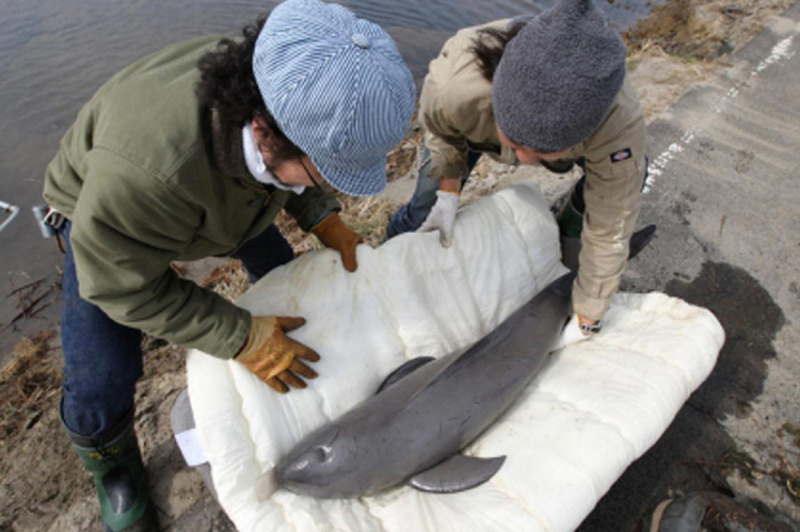 Ryo Taira, left, and his colleague prepare to release the baby porpoise into the sea. “A man passing by said he had found the porpoise in the rice paddy and that we had to do something to save it,” the 32-year-old Taira told Reuters. 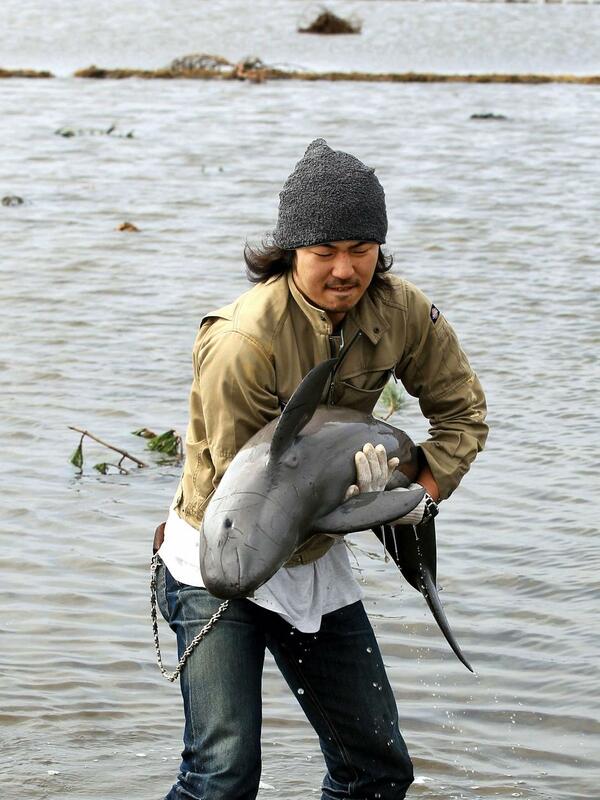 Taira found the porpoise struggling in the shallow seawater on Tuesday and after failing to net it, waded in to the field, which had yet to be sown with rice, to cradle the 1.2-meter (four foot) animal in his arms. “It was pretty weak by then, which was probably the only reason we could catch it,” he said. 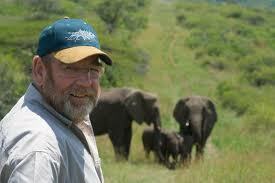 Ryo Taira, standing on a raft in a swamped paddy field, recounts how he saved the porpoise. Taira and some friends wrapped the porpoise in wet towels and drove it back to the sea, where they set it free. The porpoise appeared to perk up when it was back in the Pacific, he said. “I don’t know if it will live, but it’s certainly a lot better than dying in a rice paddy,” Taira told the Asahi Shimbun newspaper. So proud of this man for helping the poor baby porpoise <3 I hope it made it! It's odd that the person who saved him was a pet shop owner, who had simultaneously been rescuing other animals stranded from the tsunami... it's like it was just meant to be. 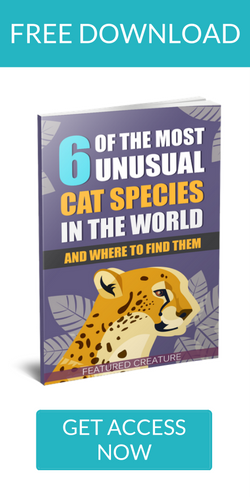 PreviousDid You Know About the Red-Crested Turaco? TFC on Voice of America!